The targets are "floating" on air. 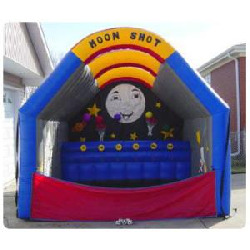 Take your best shot to knock the mystical floating planets out of orbit with your bean bags. If you knock a predetermined amount "out of orbit", you win a prize.